This brand new villa is located in the seaside village of Diakopto in Peloponnese, very close to the beach. The house. This brand new villa is located in the seaside village of Diakopto in Peloponnese, very close to the beach. The house, tastefully decorated is equipped with all amenities to make your stay unforgettable. The spacious living room and bedrooms can easily accommodate up to 9 persons. The fenced garden with the trees will be the place you will spend most of your time. Enjoy the Greek sun and a glass of wine as your children play careless around you. Use the BBQ to make a dinner and gather all family together to taste the local products.Within minutes away from the house you will find some of the most beautiful beaches of Peloponnese. Do not miss to visit the main beach of Diakopto, Egali beach with the beach bars, Elaionas beach with some restaurants by the sea, Pounda beach with the crystal clear waters and Platanos beach famous for the beauty of the area. Diakopto is also famous for the Odontotos rack railway that starts from the seaside town of Diakopto parallel to the river and climbs to Kalavrita through bridges and tunnels. In the village of Diakopto you will find plenty of restaurants, coffee-shops and mini markets. It is the perfect choice for family holidays. This beautiful modern villa is made from brick or stone and was recently built in 2016. The agent has rated it as a four star property so it is a well-equipped villa with above average furnishings. It is also great value for money. 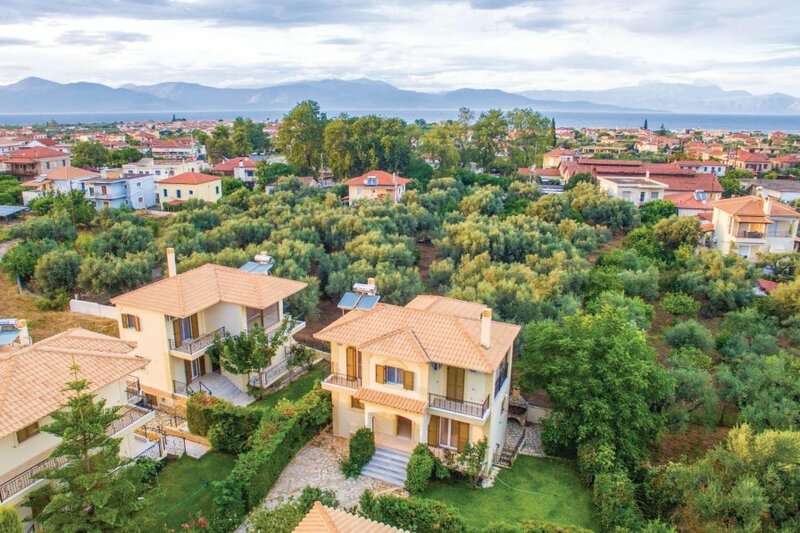 This villa has panoramic view of mountains and is located in Peloponnese, only 15km from Aigio. The nearest airport is 90km away. It is set in a very convenient location, just 800 metres away from a stone and pebble beach and 1.5km from a sandy beach. There's also a restaurant only 500 metres away.